Update January 19, 2018: VideoCardz spotted that an Australian retailer has offered some new information regarding the processors that will soon be added to the Intel Coffee Lake lineup. Want the best CPU for gaming right now? Look no further. The processors are listed online with an estimated day of arrival of February 14th – a little Valentine’s day gift from Intel, perhaps. This is a little earlier than recently leaked roadmaps that indicate a March to April launch window so take these retailer launch dates with a grain of salt. Three Core chips are supposedly on their way for the earlier than expected release: the i3 8300, i5 8500, and i5 8600. These will be joined by the three Pentium chips: the G5400, 5500, and G5600; and two Celeron chips: the G4900 and G4920. The pricing for the i5 8600 is $329 AUS, or round about $263 US, with the other two Core processors supposedly selling for $290 and $211 AUS for the i5 8500 and i3 8300, respectively. This pricing is likely subject to change before these processors launch so don’t take these as gospel just yet. Original story January 18, 2018: The first signs of Intel’s mammoth Coffee Lake refresh are starting to appear. The expected Intel Core i5 8500 has appeared on the SiSoft Sandra database – the consistent go-to location for pre-release processor sightings… the safari zone for CPUs. The supposed Coffee Lake refresh launch (if you can really call it a refresh – a second wave, volume launch, possibly) has been rumoured since benchmarking and analytics software AIDA 64 let slip support for a mountain of new Intel chips within their release notes. Subsequent leaks have pointed to a release sometime around the start of the second quarter of 2018. MyDrivers leaked an Intel roadmap that indicates the second wave of Coffee Lake processors will likely be launch between March and April – alongside the budget and mainstream chipsets users have been patiently waiting for. The SiSoft Sandra entry, spotted by a Reddit user, indicates similar specs for the i5 8500 as previous leaks. It will be a six-core/six-thread CPU, with 9MB of L3 cache, and running at 3GHz base clock – Intel’s Turbo speeds have not yet been alluded to. The chip is suspected to run at a 65W TDP. 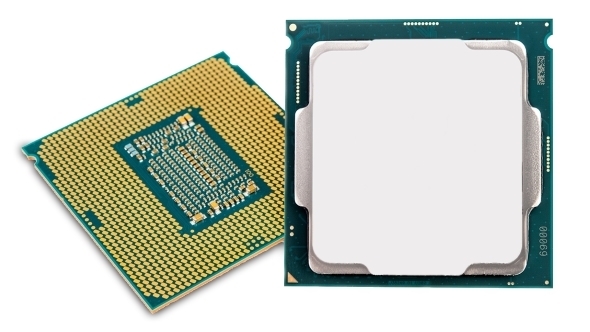 Intel’s i5 8400, which launched as a part of the first wave of Coffee Lake chips, reaches a boost clock of 4GHz indicating somewhat where the new desktop chip will stand. The i5 8500 is likely to be higher by a small degree, possibly around 200 – 300 MHz, in line with the same delta between the base clocks of the two similar chips. While the chip itself isn’t all too exciting – seemingly entailing only a clockboost over the lower spec i5-8400 chip – its potential pricing could make it a fantastic proposition for gamers. 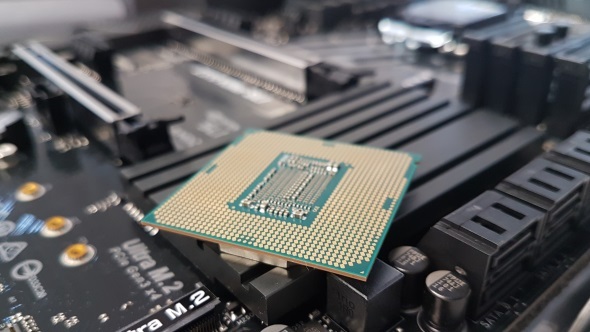 The i5 8400 is already a rock-solid gaming chip, and if the clockspeed bump doesn’t come at too much of a premium to cost, it will likely be a worthy investment for purely gaming rigs – especially further into the lifespan of these locked chips. This leak is also some indication that Intel are indeed creeping toward the Coffee Lake refresh launch – hopefully on schedule. Without the budget, mainstream, and business chipsets – B, H and Q-series, respectively – Intel are missing out on massive markets with Coffee Lake, and leaving the non-enthusiast customer in the dark. Hopefully more indication on Intel’s impending launch will surface soon enough, lifting the veil on what is shaping up to be a CPU battle royale at the start of Q2.